The Crimean Supreme Court on Tuesday ruled that the minority ethnic Crimean Tatar organization is an extremist organization and has banned it in Russia. Following the latest controversies, Sweden's Turkish National Association risks having to pay back millions of krona the union earlier received in government grants; competent bodies question whether the association can be considered democratic at all. Sweden's green party Housing Minister Mehmet Kaplan was photographed dining with Turkish ethnic supremacists and has been forced to leave office in disgrace. Mehmet Kaplan, Sweden's minister of housing, urban development and IT, has called it quits after having stirred a great controversy with his anti-Semitic comments and alleged neo-Nazi links. Sweden's Minister of Housing Mehmet Kaplan triggered a major controversy after a photograph of him emerged having dinner with members of the far-right Turkish organization Grey Wolves, the Swedish newspaper Aftonbladet reports. 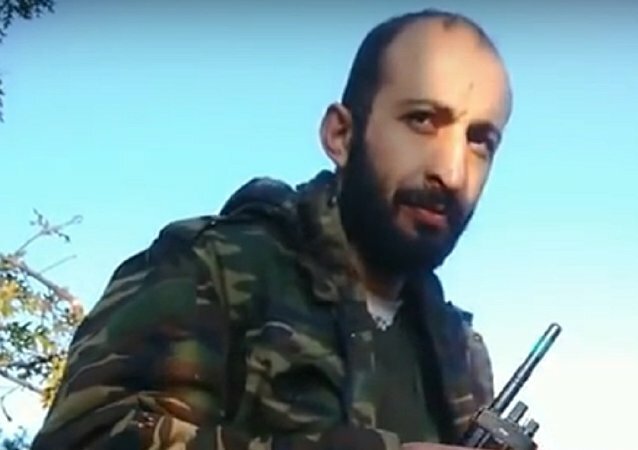 Although Turkish ultranationalist Alparslan Celik was arrested and questioned by Turkish authorities, he wasn’t charged with killing a Russian Su-24 pilot, Celik’s lawyer Murat Ustundag told Sputnik in an interview. 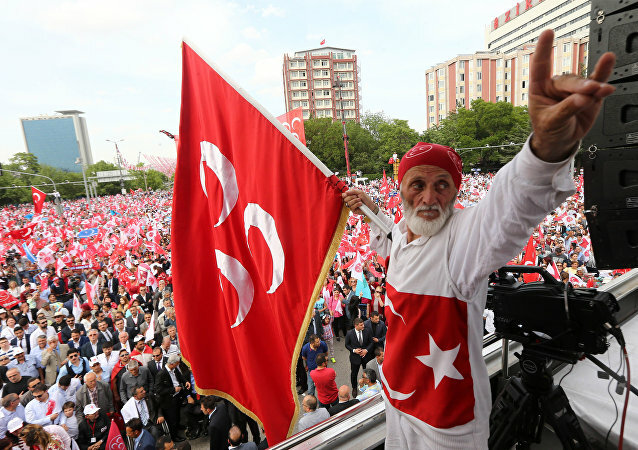 Turkey is playing a pivotal role in the escalation of violence both in the Middle East and Europe, Czech-based freelance journalist Martin Berger notes, adding that Ankara is just waiting for a "legal pretext" for the invasion of Syria. The Erdogan regime has recreated the Turkish "deep state" comprising of intelligence officials, Islamists and ultranationalists to maintain full control over the country, US author Jonathan Marshall stresses, adding that the "system" represents a direct threat to Turkish democracy, Turkey's neighbors and NATO allies. 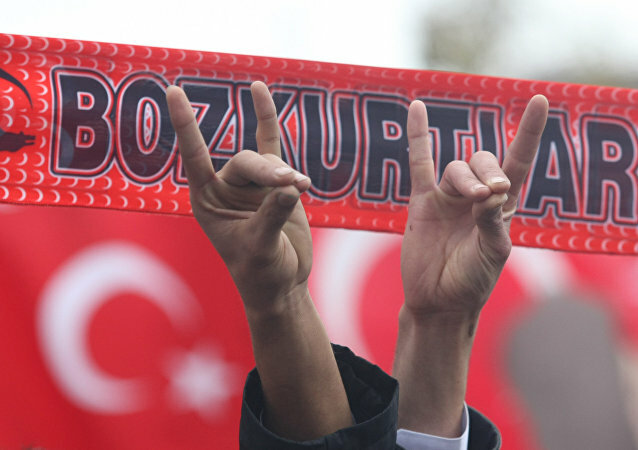 Turkish radical nationalist organization Grey Wolves has been linked to Daesh and could have participated in the downing of the Russian A321 flight over Sinai that killed all 224 people on board, according to the Russian Federal Security Service (FSB). Turkish Charade: Why Did Daesh Carry Out Suicide Bombing in Istanbul? After a recent terror assault in Istanbul, that killed at least ten and injured 15, the Turkish leadership was quick to pin the blame on Daesh (Islamic State/ISIL), geopolitical analyst Toni Cartalucci notes, while calling attention to the fact that Ankara is involved in the illicit oil trade with the terrorist group. Daesh Reaches Indonesia: What Was the Real Message of Jakarta Attack? Coordinated shooting and bombing attacks in the Indonesian capital Jakarta on Thursday left at least seven dead and 26 wounded; Daesh (Islamic State/ISIL) immediately claimed responsibility for the assaults. Why has the world's largest Sunni Muslim country been subjected to an attack from Daesh? To those who know Russian history, Ankara's hostile move in Syria has come as no surprise: over the past hundred years Turkey and Russia have been involved in a longstanding geopolitical competition. Why has Washington been blind to Turkey's misdeeds in Syria and Iraq, including the bombing of the Syrian Kurds and oil smuggling in Syria and Iraq? The truth of the matter is that since the beginning of the Cold War era US leadership has viewed Ankara as a valuable geostrategic ally. Are Erdogan's Grey Wolves Terrorists Knocking on Crimea's Door? Over the past several days, Russian analysts have been investigating rumors that members of Turkey's extreme right-wing nationalist Grey Wolves movement, the same organization which claimed responsibility for killing a Russian pilot in Syria last month, have found their way into southern Ukraine. But are they a threat to Crimea?